Those who post fake news or hate speech will be banned. Check the rules! Quote: Every continent is now seeing the emergence of (mostly) rightwing disrupters. They appeal to those who feel excluded by “identity politics”, by what they perceive as liberal pandering to minorities. They feed on religious intolerance and on neighbourhood insecurity. They spit anger at any form of establishment. Yapping in their van are the jackals of social media, spreading fear. It is beri difficult to tell the story of the deliberate falsehoods we r being fed. When we fight back we become the aggressor and naked. Once the Laws r in, we becomes victims. The sufferings r global. Noone can discribe what r happening to them. 7Best said: LKY law coming soon, bro omni faster hide. Fake news is indisputably a major problem. The dissemination of misleading and deceptive articles distorts the premises of public reasoning. Free speech should not be sacrificed to combat fake news. Adopting legislation to shield against fake news has major implications and is highly perilous. In the past it was the church that committed major mistakes in trying to combat fake news and people were burnt on the stakes. We are witnessing a radical shift in information technology in the digital age. It is thus our task to prevent Western democracies from committing the very same mistakes the Church did. singlion said: Fake news is indisputably a major problem. The dissemination of misleading and deceptive articles distorts the premises of public reasoning. 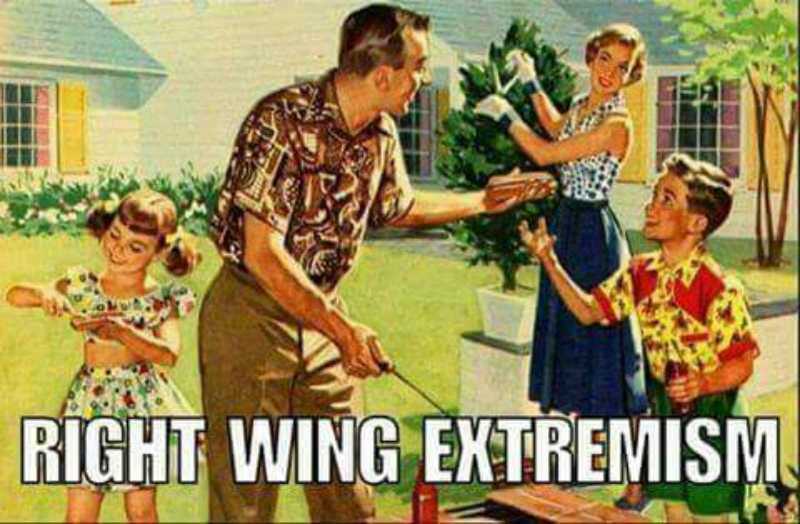 The below is now classified as right-wing extremism. Nero ordered Christians to be torched on stakes because Jesus taught His disciples to shine like light for all to see lah! George Orwell's novel Nineteen Eighty-Four? this is beacause our oppie is a grounp of educate dadft and they hasve no ideas how to build a different type of constution , to figh for citizen righ. thease ppl are tghe layman in power game.these ppl no philosophy use to build a citizen power constitution to run the new sytem. Citizen Power Game for Citizens to work together to Build a New Social System. what to do. WE ARE CURENTLY LIVE IN ELITE POWER CONSTITUTION UDSE TO DRIVE THE DEVELOPMENT THRU THIER CABINET. 5TO LIVE IN THIER LIES AS A POWERLES CITIZEM.UNLESS WOUR OPPIE DARE TO CREATE A REVOLUTION TO REMOVE THIER CABINET. WE GOOD AS NO OPPIE IN ELITEW POWER CONSTITUTION ASFTER 50 YEaR ON TRYING. Current time: 23-4-2019, 12:50 AM Powered By MyBB, © 2002-2019 MyBB Group.